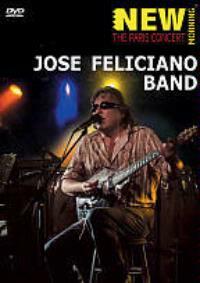 Those who think of only one song, “Feliz Navidad,” when they hear the name Jose Feliciano be ready to get wowed! The man is one heck of a rocker and after decades of performing he’s still got what it takes. This concert, as the title might tell you, was recorded in Paris in August of 2008 and Feliciano and band take us through a series of songs that run the gamut from jazz to Latin to hard rock. The whole show is exceptional, but perhaps the covers are the most incredible parts of this concert. He tackles Neil Diamond (“Cherry Cherry”), The Doors (“Light My Fire”), Hendrix (“Purple Haze”), Cream (“Sunshine of Your Love”) and Santana (“Oye Como Va”) and makes all that music his own. This was an exceptional concert and you’ll no doubt wish you had been there. The thing is, while most of us weren’t there – this is recorded so well – it was filmed in high definition, that you’ll almost feel like you were. This is a great item that will definitely please Feliciano’s legions of fans. The thing is, it’s also a good introduction to an amazing artist who is far more than a one hit wonder. 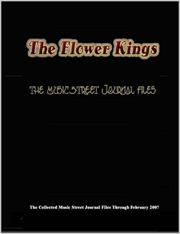 This review is available in book format (hardcover and paperback) in Music Street Journal: 2009 Volume 3 at lulu.com/strangesound.